The Kopi Luwak anti-pollution oxygen treatment is designed to clear and protect skin from environmental pollutants by delivering potent film-forming, water-holding, and soothing effects. This post is in partnership with Hermetise and KMR Communications. 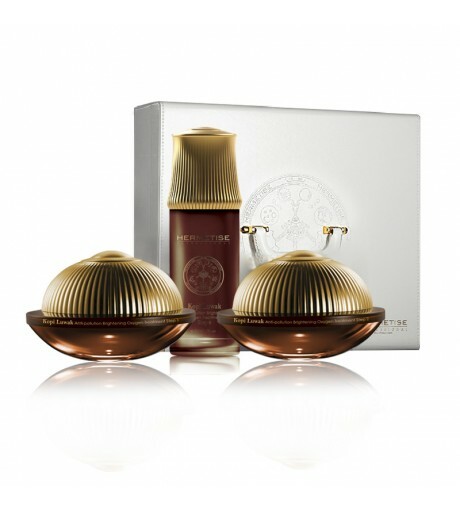 The Kopi Luwak Anti-pollution Brightening Oxygen 3-Step Treatment is part of a three-step treatment from Hermetise. It a protecting serum that incorporates a unique caffeine infusion obtained from Kopi Luwak beans. Kopi Luwak is the most exotic coffee in the world and is known to have excellent skin benefits, such as giving naturally firm skin and reducing inflammation and redness. It is also a potent antioxidant. This advanced treatment clears and protects skin from environmental pollutants and treats skin with advanced oxygen and select age defying ingredients, which are fortified with 24k gold and Kopi Luwak infusion to form an intense age treatment. This soft, everlasting step is designed to decrease the signs of aging; its unique texture enables it to absorb into the skin delivering beneficial ingredients, it provides the skin protection from the environment. In the ultimate connection of nature and hi-tech beauty, often one thing means the other, as is the case with the Kopi Luwak anti-pollution oxygen 3-step treatment. Along with its striking appearance, this amazing treatment has astounding multiple effects on the skin. This skin treatment is designed so that each product actually performs and gives the benefits of two products, thus cutting down on the hassle and saving application time while maximizing the final effect on the skin. One winner will receive a Kopi Luwak Anti-Pollution Brightening Oxygen 3-Step Treatment (a $4,944,97 value). The prize will be fulfilled by the sponsor. I currently use a cleanser, moisturizer & serum daily on my skin, in addition to targeted eye creams. Wash, dry, makeup. Fairly simple! Haha! Daily cleanser, toner, moisturizer and an occasional mask. CLEAN MY FACE WITH WATER, EXFOLIATE ONCE A WEEK, AND MOISTURIZE. I ran out of cream. I just wash with soap in the shower and come out with that tight face feeling. My skincare routine is pretty simple. Wash and moisturize. I try not to use soap on my face, I just rinse it and put sunscreen on it. At 64 my skin is pretty dry! I use studio35beruty Therapeutic skin repair lotion after I shower and it seems to work a little! Charcoal based treatment has worked for me, but really dries out my T zone. I use A LOT of products– mostly Asian. I spend a lot of time on my skin, but it pays off. I am comfortable going makeup free and I could never say that before. I wash and moisturize before bed every night – then use a scrub in the shower and always a moisturizer with a high SPF! I wash, tone and moisturize. I’ve used a moisturizer and eye cream since my late 20’s. Now almost 50 and it has paid off! About 10 years ago I added an exfoliating cleanser and facial brush to my routine. I make sure to clean my skin every night with Neutrogena moist toilettes, and I use a good heavy cream for my face and I use a good under eye cream every night. My skin care is washing my face in the shower, applying moisturizer, and drinking a glass of water to hydrate my face. I use a cleanser and a toner and moisturizer on my skin daily. In recent months, I’ve embraced Korean beauty and have added double-cleansing, toners, essences, serums and creams to my skincare routine. Wow, thanks for the chance. My skin could use a boost! I’m regimen is pretty basic. Again, thanks so much for giving the opportunity to us all! My skin care routine is pathetic…soap and water, and sometimes a moisturizer. I’d better get with the program, I’m starting to look awful! OMG! I cleanse my skin with gentle cleanser once in the morning and once at night. In the morning I apply hydrating under eye cream and I use a natural loose mineral powder foundation. At night I use an organic oil based serum to moisturize. Cleanse, moisturize, exfoliate twice a week, lots of water. I don’t currently have a skincare routine, just soap. My routine is morning wash face apply toner moisturizer sunscreen makeup. Night time wash toner moisturizer wrinkle cream. I use a toner in the morning and evening. I also use a collagen cream. Im just starting to develop a skincare routine. I used Neutrogena gentle face wash and moisturizer everyday. My daily routine is cleanser folloed by moisturizer. Plus once a week exfoliator. I wash my face twice a day and apply a few different moisturizers each time. I first wash my face with cold water, then I add coconut oil to my face. Lastly, I let my face dry and put moisturizer from Neutrogena. Wow would love to try something like this and see the results of the caffeine infusion from the Kopi Luwak beans! Really cool! I really need this to get a firmer appearance and the anti-aging face lift alternative. I wash my face with cold water and cleanser and moisturize with whatever is handy. I try to cleanse and moisturize and drink water. My routine is cleanser, toner, serum and moisturizer twice a day plus sleeping pack from time to time. I wash my face with a cleanser, apply moisturizer with a spf and at night I remove everything with a cleansing wipe. I cleanse, use a serum, eye cream, and moisturizer. I also use a mask at least once a week. I use cleanser and/or scrub, then I put serum, moisturizer, and eye cream. Sometimes I end it with a facial oil. I currently use an Orogold cryogenic mask with gold and diamond dust! My skin care routine is simple: In the morning cleaning face with Rose water + Honey and in the evening just plain water. I don’t really have a routine, my wife has a pretty regular routine with several products. I cleanse with a black African soap and moisturize with Aveeno. I also use a mask once a month to clear my pores. My skin care routine is very basic–good cleanser and moisturizer. I prefer just a few products that really work rather than a complicated process. I just use soap on my face, but sometimes I use a salicylic acne wash on my face. I watch my face with Shiseido products in the morning and when I bathe. I’m 19 and I’m starting to learn new skin care method to incorporate into my daily routine. I’d recommend for all to start by rinsing face with apple cider vinegar, rinse off in the shower, and then apply a coconut oil/baking soda mix for a few minutes. It is simple. Cleanser, moisturizer and sunscreen every day. I currently use Yes to Blueberries and Oil Of Olay. I definitely need a better skin routine. I use a mild cleanser, and use SPF moisturizer, and sometimes toner. At 41, this routine will not cut it anymore. I would love to try this! What an awesome prize. Im very picky about my routine! 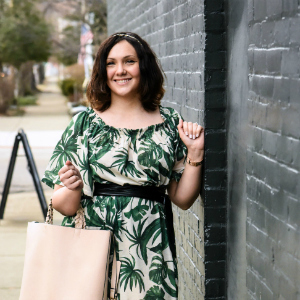 I had a melanoma scare a few years ago and now I value my skin so much more! I use Clarins gentle foaming cleaner every day to clean my face and a good daytime and nighttime moisturizer. These Kopi Luwak products look luxurious and I hope the result too. I have not tried any of these products yet, but I really wanted to because I like its anti pollution factor. Do you have any idea how much these products cost? Thanks!